Elsevier's new Problem Solving in Abdominal Imaging offers you a concise, practical, and instructional approach to your most common imaging questions. It presents basic principles of problem solving while imaging the abdominal and pelvic organs, gastrointestinal tract, and genitourinary tract. 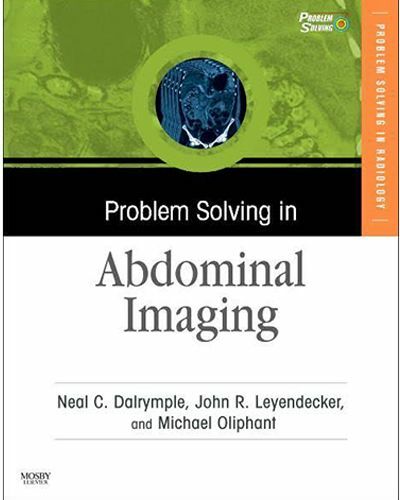 Elsevier's new Problem Solving in Abdominal Imaging offers you a concise, practical, and instructional approach to your most common imaging questions. It presents basic principles of problem solving while imaging the abdominal and pelvic organs, gastrointestinal tract, and genitourinary tract. Inside, you'll find expert guidance on how to accurately read what you see, and how to perform critical techniques including biopsy and percutaneous drainage. User-friendly features, such as tables and boxes, tips, pitfalls, and rules of thumb, place today's best practices at your fingertips. A full-color design, including more than 700 high-quality images, highlights critical elements and compliments the text, to enhance your understanding. Best of all, a bonus CD provides you with an atlas of basic surgical procedures and survival guides for managing musculoskeletal and chest findings encountered on abdominal imaging examinations.